This is the first thematic report from the NZCER National Survey of Primary and Intermediate Schools 2016 and explores the involvement of schools in the new Communities of Learning (CoL). The survey was conducted from August to early September 2016 and included a representative sample of English-medium state and state-integrated primary and intermediate schools. The survey gathers the views of principals, teachers, Boards of Trustee members and parents. Around two thirds of the schools surveyed were involved in a CoL.
A recent project funded by the NEXT Foundation was undertaken on behalf of The Mind Lab by Unitec by the NZCER. This project looked at the impact of the Digital and Collaborative Learning programme on teachers’ reflective practice in the classroom. The report can be accessed for free here. This report draws on a 3-year evaluation of induction and mentoring in New Zealand early childhood education settings and schools, carried out for the Education Council (previously NZ Teachers Council). The research included surveys of provisionally certificated teachers and their mentors, as well as case studies. 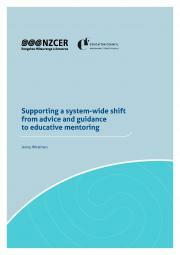 The study sought to establish the impact of shifting from advice and guidance to educative mentoring. 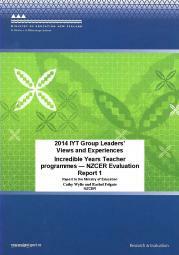 A summary and three reports have been released as part of NZCER's evaluation of the Incredible Years Teacher programmes, done for the Ministry of Education. The series is available here. Summary: "My classroom is a much more positive place." It is available here. 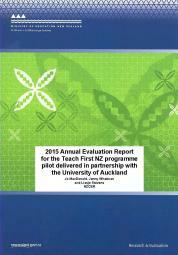 This is the third evaluation report of the Teach First NZ programme. Teach First is a pilot, field-based initial education programme run in partnership between Teach First NZ and the University of Auckland. The report is available here. How well (effectively and efficiently) has the programme been implemented? This is the third case study from a research project on successful and sustained collaborations between New Zealand schools and community and professional experts. 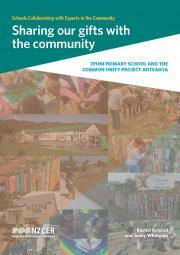 The report looks at Epuni Primary School's collaboration with community members, including a partnership with a community initiative called the Common Unity Project Aotearoa. 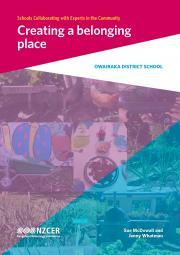 This report presents findings from a case study of Owairaka District School's collaboration with their community as part of the Garden to Table programme and other initiatives. It is the second case study NZCER has carried out as part of a wider project looking at successful and sustained collaborations between New Zealand schools and community and professional experts. The research included attending an open day at Owairaka District School, observing the Garden to Table programme in action, and interviews with the principal, teachers, community volunteers and students. 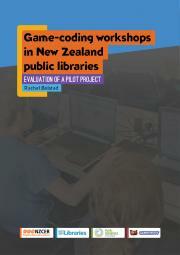 This report evaluates a game coding workshop offered to young people and adults in seven public libraries round New Zealand. Participants were taken step by step through the process of creating their own simple 2D videogame, learning the basics of coding, computational thinking, and digital game design. The workshops were free and drew 426 people across the seven locations. 85% of participants completed an online evaluation form at the end of the workshop. 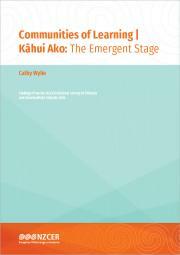 This is a comprehensive picture of the current experiences and challenges for secondary schools in New Zealand. 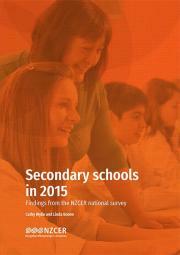 It presents the findings from NZCER's national survey of secondary schools, conducted in July and August 2015. It includes the perspectives of principals, teachers, parents and board of trustee members on a wide range of issues. You can either download the full report or by thematic chapter.